The new initiative builds on Chambers’ established heritage (since 1952) as a grower, specialising in raspberry, blackberry, strawberry, cherry and more recently blueberry production. The business has successfully extended its growing capabilities outside of the domestic growing season by growing their plants at overseas farms located in Iberia, Poland, Peru and Bulgaria. 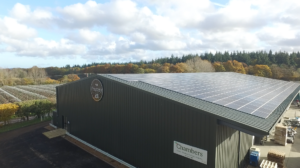 In addition, Chambers has linked up with like-minded growers around the world to ensure the seamless supply of high-quality fresh berries for its customers 52 weeks of the year. Whether the berries are grown in the UK or overseas, the business remains resolute in its pledge to deliver the very best, freshest berries direct from the grower. Good stock monitoring, rigorous quality control, and modern storage facilities ensures Chambers only supplies premium fruit. Chambers also handles the packing and transportation of the produce using its own packhouse (BRC (AA+) graded, Soil Association approved) and a fleet of refrigerated vehicles to meet ‘same day’ delivery requirements. 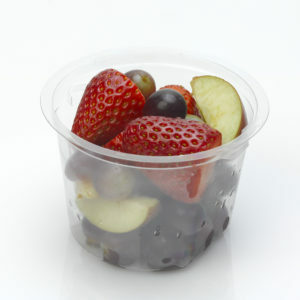 The introduction of The Fruitery – which will be wholly responsible for producing a range of prepared berry pots – represents a natural extension of the original Chambers offering, meeting the growing customer demand for a berry medley product that comprises the same high-quality berries direct from the grower and supplied via a shortened supply chain. The business has invested heavily in a £2 million brand-new state of the art high care facility, allowing it to supply fruit that is transferred from field to chilled within one hour. Regular lab testing is undertaken to maintain the very highest standards of food hygiene in line with the protocols required by various food retailer accreditation schemes. The ‘direct from the growers’ proposition not only relates to the superior quality of the fruit, it also signifies reduced food miles, 100% traceability & assured provenance, while the shortened supply chain delivers efficiency and an extended shelf life of up to two days. 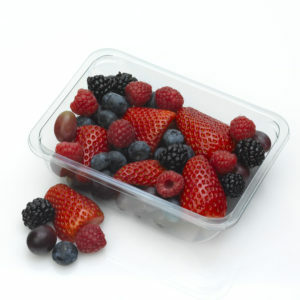 The Fruitery range comprises a four and five Berry Medley in 160g, 220g and 240g variants; an 80g Blueberry snack pot; a Strawberry, Apple and Grape Medley in 130g and 160g variants; a Strawberry & Apple Medley in 130g and 160g variants; a Strawberry and Grape Medley in 130g and 160g variants. In addition, there is the option of a Catering pack (600g, 1kg and 1.5kg) in a variety of medley choices.